Weird Westerns are a sub-genre of speculative fiction. I was first introduced to this sub-genre when I lived in the Southwest and attended MilehiCon. While there, I met David B. Riley and his publishing company, Science Fiction Trails. 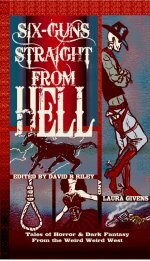 He and Laura Givens were working on an anthology of weird westerns. Excited by the idea of creating a diverse populous in the old west, I went home and wrote a short story. I submitted “Justice” to them and it was accepted. The story appeared in Six Guns Straight from Hell. It is from those stories in Six Guns that I fell in love with weird westerns. I was won over by the dynamics of steampunk, aliens, and of course, magic in the west. Will Smith’s turn in The Wild Wild West movie conjured up all the western episodes from my past. The fact of a black man in the west, saving it from destruction, stuck to me, despite the movie’s silliness. For once, the hero wore my color skin and he was doing it with guns and a dark, black hat—no white hat heroes here! “Justice” had been my officially published “weird western” short story, but I realized that many of my other stories, “Los Lunas” and even, “The Trader,” all read like weird westerns. I began to write often about my time in the Southwest, but also focusing solely on people not commonly represented in stories of the west, Native Americans and African Americans. I just recently submitted two stories for possible inclusion in a diverse anthology of weird westerns being compiled by Cynthia Ward for Wolfinger Press. My love affair with weird westerns extend beyond my own stories. I’m a huge fan of Stephen King’s The Dark Tower and anime favorite, Cowboy Bebop. Other weird westerns favorites include Trigun, Samurai 7, and Samurai Champloo. What I enjoy about each of these titles are the diverse casting, the way the west was interpreted, and the dynamics—desperation–between all of the characters. Moreover, I believe I was won over by weird westerns because it leveled the playing field for everyone. In the west, the uppercrust rules and elitist attitudes meld beneath the harsh landscape, the bitter existence, and the rough and tumble struggles of new towns and war. The struggle was real–for everyone despite how much money you had, life was hard–for everyone, blacks, Chinese, women, men, and Native Americans. And the threat that if they don’t, he will come back for them. 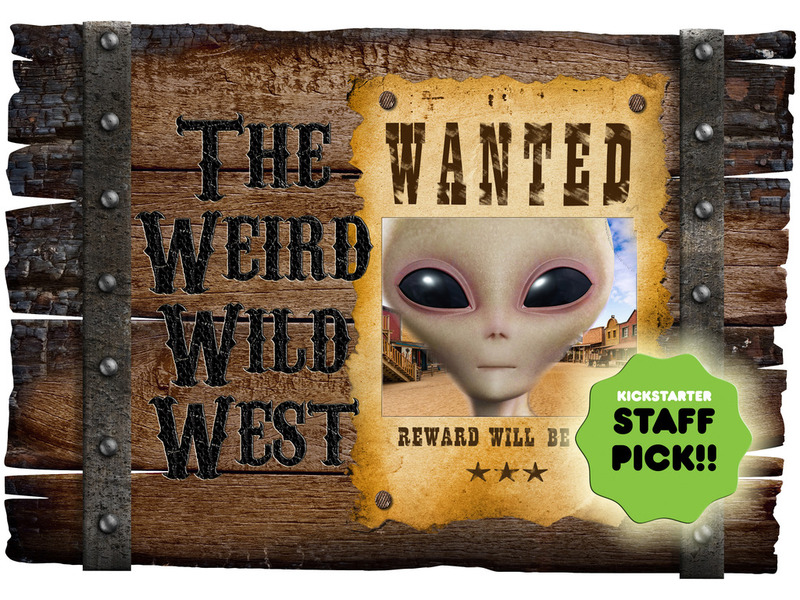 I would like for you to help me support the Weird Western Tales kickstarter. This anthology will continue producing great weird westerns! Some of the best writers in speculative fiction are contributing! Gail Martin, Misty Massey, and John Hartness to name a few. I’m lucky to discover weird westerns on this side of the Southwest. There are great rewards for those who haven’t contributed. So stop by and boost the signal with a great big YeeHAW! Love Weird Westerns? What’s your favorites?